Situated along the stunning coast of the Riviera Maya, Grand Palladium White Sand Resort & Spa is located between Playa del Carmen and Tulum. A complete, all-inclusive hideaway fitting for couples or friends looking for a tranquil vacation, or families seeking a memorable adventure. The hotel is perfectly positioned walking distance from the main pools, kids’ pools, Spa & Wellness center, and mini golf. Enjoy a variety of fun-filled activities - on dry land and sea, by night or day - tailored exclusively to ensure there is something for everyone. Why choose Grand Palladium White Sand Resort & Spa? Taking its name from the stunning stretch of beach it overlooks, Grand Palladium White Sand Resort & Spa features beautiful traditional architecture that blends seamlessly with the elegant modern finishings, high ceilings, and marble floors. The hotel is conveniently located between Tulum and Playa del Carmen, surrounded by a natural ecosystem complete with local animal life and indigenous gardens. Guests at Grand Palladium White Sand Resort & Spa can enjoy their stay with Infinite Indulgence®, where everything is included. Take full advantage of a wide selection of dining experiences, pools and exciting entertainment shared with the other two hotels, Grand Palladium Colonial Resort & Spa and Grand Palladium Kantenah Resort & Spa. The spacious suites are beautifully fitted with a gorgeous authentically Mayan feel. Beyond the rooms are endless activities, all easily accessible via the free shuttle train linking the different facilities. Lounge by the La Isla pool, and grab a cocktail at the bar. A little further afield, families will delight in the activities center and water park, which offers colorful slides and a shallow pool. The Portofino Restaurant serves up an array of sublime Italian and Mediterranean cuisine, and the La Laguna show cooking restaurant offers a spread of different dishes to suit every taste. Just a stone throw away is the mini golf course, gym, and Zentropia Spa & Wellness center, as well as the departure point for a catamaran ride on the lake. As nightfall approaches, you can sip drinks on the beach at Punta Emilia Bar, as you marvel at the colorful Caribbean sunset. A magnificent half a mile stretch of stunning tropical beach and access to 6 refreshing, freshwater pools. An all-inclusive vacation experience with Infinite Indulgence®. 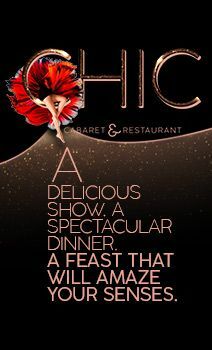 A full offering of complete dining experiences at 9 à la carte themed restaurants, 5 show cooking restaurants, and 21 bars. Entertainment for children of all ages at the baby club (for 1-3 year olds), El Ranchito mini club (for 4-12 year olds) or Black & White Junior Club (for 13-18 year olds). On-site facilities for large to small events, conferences and wedding celebrations. * Taxes included, except Ecotax "Environmental Sanitation Law/ Derecho de Saneamiento ambiental ": the amount of the tax is established by the municipal administration of Solidaridad and raises to 10 Mexican pesos per room and night for stays from October 1 to December 31, 2017 and 20 Mexican pesos for stays/arrivals from January 1, 2018. The amount is payable by the guest, to the hotel on the day of check-in. The hotel acts as an intermediary collector between guest and municipality.